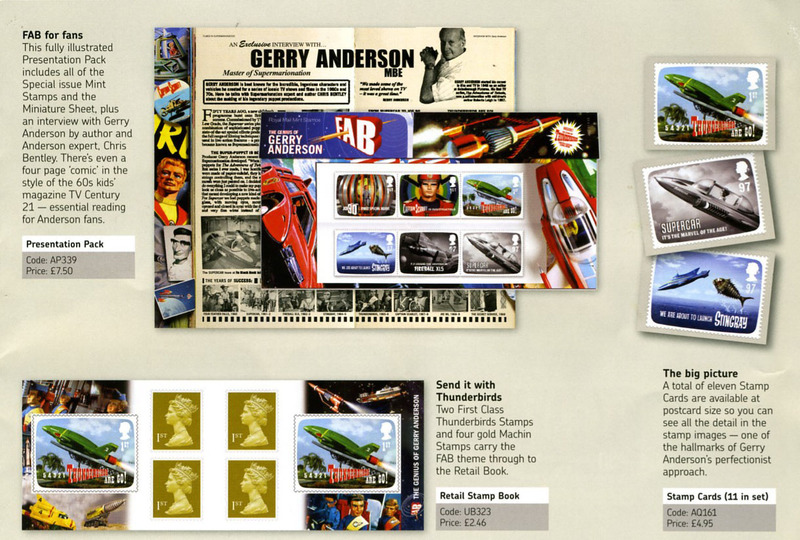 I was looking through a promotional booklet concerning the latest stamps from Royal Mail, which feature Gerry Anderson programmes. I knew I wanted those, but there were so many collector’s packs and what have you to choose from. It would cost a fortune if you were someone who had to have everything. 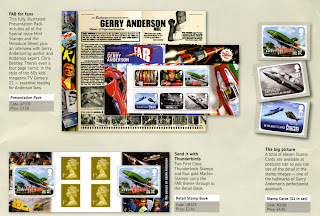 I spotted one presentation pack listing the contents (stamps, miniature sheet, etc.) 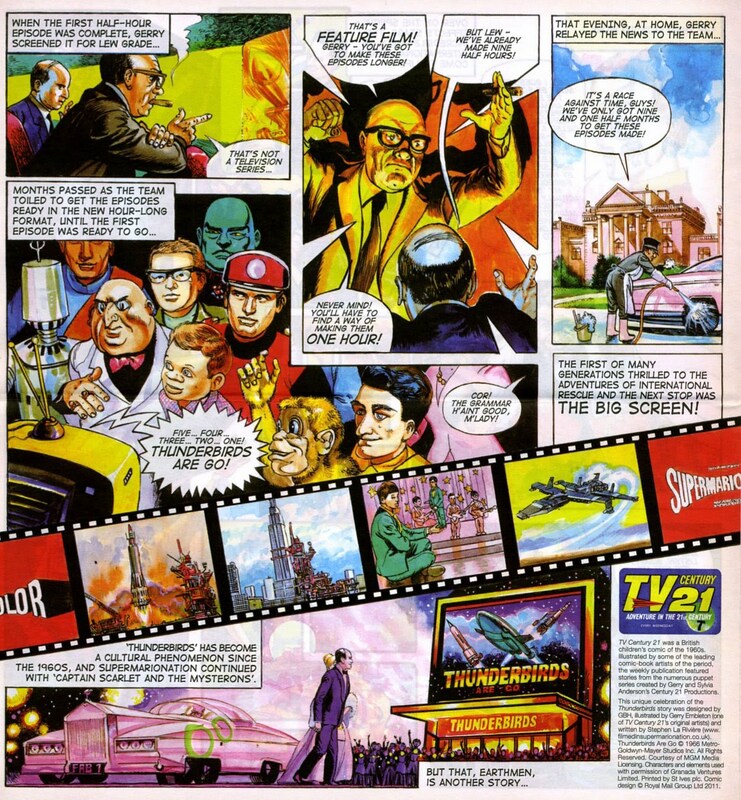 with the following words: “There’s even a four page ‘comic’ in the style of the 60s kids magazine TV Century 21”. OK, so my mind was made up about which set I was buying. I don’t know why the text wrote ‘comic’ like that. It made me wonder if it would be a comic or something else more like a magazine. I bought the pack today, and was pleased to see the ‘comic’ was indeed a comic, and furthermore a comic by Gerry Embleton. I well remember his art on Dan Dare in the 1980s, very nice stuff. I had been thinking about it lately actually, reminded of Embleton’s flying shark by a similar creature in the latest Doctor Who TV episode.